Samford University’s Cumberland School of Law will host its annual Rascal Day parade, memorial service and lunch on Thursday, April 5, at 11 a.m. at Centennial Walk on Samford’s campus. Unique to Samford and Cumberland, the annual event memorializes Rascal, a mongrel pup that faithfully attended classes at Cumberland's former home in Lebanon, Tennessee, beginning in 1933. In 1937, he was presented the rare degree of Doctor of Canine Jurisprudence. Rascal passed away in 1940 and was buried beneath the window where he attended classes. When Cumberland moved to Birmingham in 1961, Rascal's tombstone and a few spadesful of dirt were brought to the Samford campus, and re-interred at the Blackacre Patio on the west side of Robinson Hall. 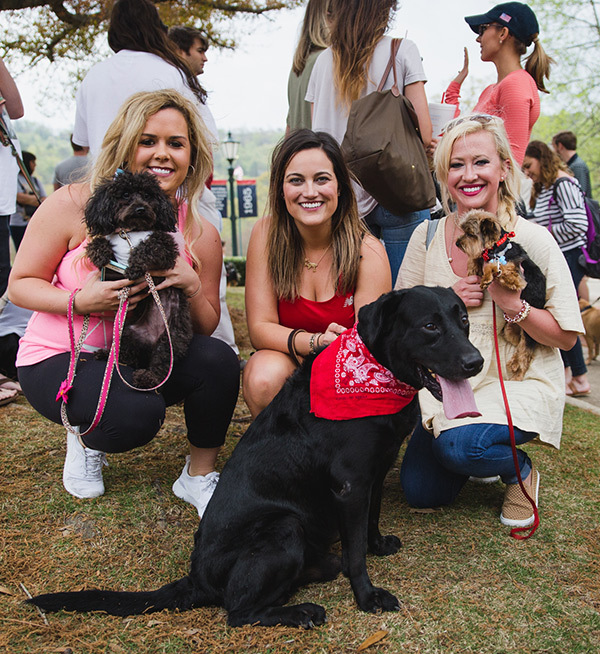 To honor Rascal, every year during Law Week, students, faculty, friends and their pets process behind a New Orleans-style jazz band, from the foot of Samford's Centennial Walk to Blackacre Patio. After a eulogy by Professor Howard Walthall, mourners and pets enjoy a hotdog lunch served by Cumberland faculty, plus awards and favors are given to the students for their dogs.